Maybe it's a blanket border. Maybe it's around a dishcloth or sweater. Or maybe along the edge of a scarf or cowl. But anytime you are instructed in a pattern to "work stitches evenly along edge" you are faced with a challenge. Where do you put your hook? How do you keep the stitches along the back from looking uneven and horrible? Particularly if it is in a contrasting color! Let me show you what I mean, and then I'll provide you a simple technique to help make it look super neat and tidy--on BOTH SIDES! These two rough edges are not so easy, however. So let me show you a little trick. With the same color of yarn as will be used in the first round of the edging, slip stitch LOOSELY along the rough edges. It is very important to do this evenly and loosely so as not to pucker the sides. I also typically only insert my hook through a loop towards the right side of the work. Again, this helps prevent gaps and unsightly holes. This is a view of the back. See how pretty so far? So what does EVENLY mean? A good rule of thumb is, one slip stitch for every sc (UK dc), two slip stitches for every dc (UK tr). This means, since I have 9 rows of dc, I'll need approximately 18 slip stitches along the sides to keep things even. (NOTE: Here, I only have 16 on each side because I'll work my corners with 3 sc which will add a couple of more stitches to each edge and this will give me 18 stitches on each rough edge.) Your pattern may be very specific about the number of stitches needed, however, so follow your pattern. If you are having questions with where to put your hook along the edge (or just really visual, like myself), the talented Esther from It's all in a Nutshell has made a video tutorial showing exactly how to do it! You can watch it here. Try it and let me know how it works for you. I hope it assists you in making your crochet look super professional. Remember to follow me around on Facebook, Instagram, Pinterest and Twitter for updates on patterns, discounts, announcements, and more tutorials like this! Up until now Facebook has been my primary means of communicating with folks, but it seems they are working hard to only show you posts from friends and family, not your favorite crochet pages, so I'm going to try to get the newsletter out more regularly--once a week is the goal. Plus, it often contains exclusive discounts for subscribers. You can sign up at the top of my sidebar from a desktop. Thanks for this! I wish I had known this nifty little trick a while back when I was struggling with a border on a baby blanket!!! You are welcome. I hope it helps! Thank you for sharing this simple tutorial! and I hope in 2015 that you can fulfill all your dreams! Kisses and a hug from Catalonia! Best to you and your family, Cristina! Oh wow! This makes so much sense. I have been crocheting for over 16 years and have never seen this done like this. Thank you! You are very welcome, Becci! Look forward to trying this next time I am adding a border. Looks like a perfect solution! That's a great tip!! I do the same for edges. But only difference is I thought it was, hdc=2slip st and dc=3slip st. Since we see many patterns where the starting row say, "chain 3(count as dc)", so I thought we need 3 stitches for dc. Do what works for you, Preeti! He is my favorite speaker--well, he and Jeffrey Holland! Ok, I love them all! How blessed we are, huh?! You are very welcome, Ana! Wow! Where has this technique been all my crochet life? Thank you so much for sharing. Definitely pinning this for future reference! Thanks for the suggestion...it sounds like a great idea! I would love to know how it works for you, Lori! I just thought about it...do you find that using slip stitches hides those pesky "holes or gaps" that appear while working into the edge? Those holes/gaps usually appear as you work around ch2 or double crochet stitches. I hope that makes sense. Yes!! Because you are not working sideways around a post, or trying to fit your hook between the strands in a post or chain, there are no holes. And I hate when you want to space a stitch but your hook just can't go "there" because it is the base of a row so you have to be too close to or too far from the previous stitch. This solves that problem because you can always find a strand on the RS to slip stitch through. I am confused. If you aren't crocheting around a post or in between the strands of a post or chain, where exactly are you crocheting? You are actually only picking up a strand on the side facing you. So I suppose you are in essence working between posts, but it is only a single strand of yarn rather than a whole stitch, hence, no hole. This gives the little dashed line from the slip stitch on the back of your work. I hope this makes sense. I am a little confused also. I guess I will have to try it to figure it out. Maybe you can add a few pics showing what strands you are using for us visual learners. I can't wait to try your trick! Teresa, instead of working around the post--which is what creates the gaps, you will be picking up loops of each post on the right side (just think about working between the posts if this helps your brain) and working a slip stitch rather than a much thicker single crochet, hence no holes. Just try it. Super easy peasy. Such a great technique! I use it for my knitted garments when I make a crocheted edge. Why I've never used it for my crochet projects...? Isn't it funny, Tanya, how sometimes we forget to transfer skills from one thing to another? Your timing is perfect as I am beginning a border on a small blanket. I will try this technique. Thanks! I would love to know how it works for you! Enjoy! You are very welcome. I know I love getting little tips--so it's fun to share and help the crochet community out, too! We all become better together! Let me know how it works for you, Marianne! It was so depressing to spend time and effort to make something lovely and have it spoiled by a sloppy looking edge. I thought it was because I'm new to crochet. Thanks for the technique! Michal, I completely understand! I found it depressing, too. And many seasoned crocheters are still picking up tricks of the trade--but it's such fun, huh? I hope it works well for you! You are very welcome, Betty! I hope it helps make it easier! Oh... my... gosh!!! THANK YOU so much for sharing your awesome tip! This is exactly one of the things I do not like to do... crochet down the "wrong" side. It always ends up looking so bad, no matter how careful you are with the placement of the first stitches. I find myself skipping over patterns that call for this just because I don't like the way it looks. I can't wait to try this. What a great idea! You are so welcome, Sandy! I hope it works for you and allows you to do many more patterns that you otherwise would not want to face. You're so smart! Last night I removed a border from a baby blanket for this exact problem. Thank you for sharing. You are very welcome, Debra! It's super easy with such a good result! Thank you for sharing this wonderful tip! It has come at the perfect time as I'm about to embark on a baby blanket marathon. :D Your OCD is helping many crocheters! I hope the tip helps you! It's good to know I'm not alone in my crochet OCD! I have been crocheting for 51 years and have never seen this. I love the community of crochet where we share ideas and techniques. I do have a question, Would pattern stitches work in these sl stitches as well? Say working a *sc skip a sl stitch work three dc in next sl stitch and sc in next stitch* repeat from * around working the corners as instructed in the pattern? I hate uneven edges. 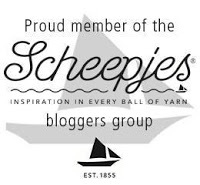 I love this crochet community, too! It's amazing how many wonderful ideas and inspiration can be shared! To answer your question, I honestly think it would be perfectly suitable to not work a "base" round of sc into the slip stitches and work your pattern as instructed directly into the slip stitches. It will still look lovely on the back and the unworked slip stitches should appear nice and tidy, too. If you try it, let me know how it goes for you! Remember, you can always share on my Facebook page (facebook.com/FeltedButton) if you wish! Thanks! This is such a neat technique for doing borders that I haven't come across before. And I love your pictures and color choices, they really make your tutorial 'pop'! This looks great! 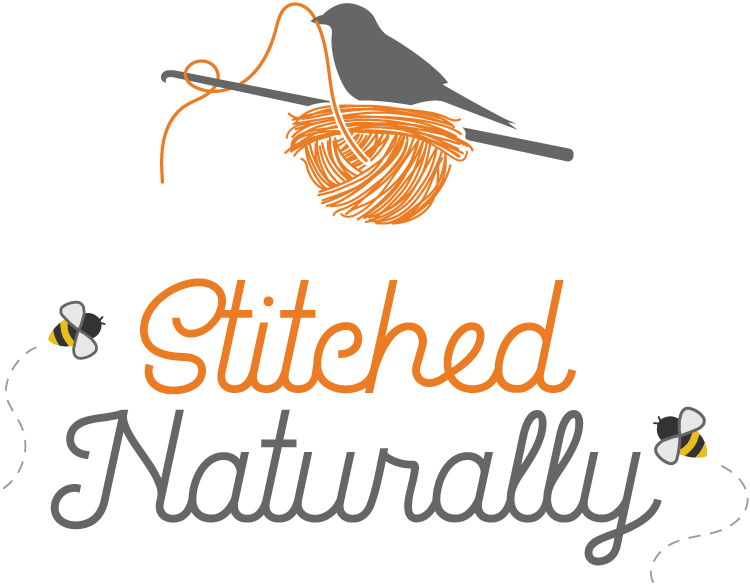 When you say slip stitch, it looks more like what I would call chain stitch... What exactly do you mean by slip stitch? I've never heard it called chain stitch as that doesn't require working into a stitch but only yarning over and pulling through the loop on your hook. A slip stitch is similar but is worked by inserting your hook in a stitch, yarning over, pulling through the stitch and then through the loop on your hook. Does that make sense? I can't wait to try this. I have a scarf nearly complete that will need a side border. This will finish it off nicely. I'm new to your blog and newsletter. Your work is beautiful. I love your gift of color. Makes me want to try new color schemes. Thank you!!!! I'm so glad you found me! Thank you for your sweet comment! Thanks you so much. It's lovely learning something new after many years of crocheting! I have one question. When you insert the hook to create your slip stitches, you advise us to crochet into the front. Does this mean that we insert our hook into the front loop - the loop closest to us? Exactly! By picking up only a single strand on the right side of your work facing you, you reduce the chance for gaps and holes. Let me know how it works for you! Just wanted you to know that I just used this technique on my second ever crochet blanket and it worked wonders on my slightly wonky edges. Thanks! That's wonderful feedback! Thanks for sharing, Susan! Thank you! This is one of the most wonderful and useful tips ever! I just hate uneven edges! Haha! I can totally relate--nothing worse than working super hard on a piece and have wonky uneven edges at the end. You are very welcome, Linda! Like so many others here, I found this brilliant post at just the right time. I had about decided to do a row of single crochet all around a scarf I made for a gift, but I will definitely use this technique now. However, first, I have one (probably dumb) question: When you say, "I also typically only insert my hook through a loop towards the right side of the work," do you mean right side as opposed to wrong side, or right side as opposed to left side? Either way, can you explain briefly why that helps? My scarf comprises 1 row of sc, the pattern is simply working into the front loop only, then ending with a single crochet row. The narrow edges are straight, but not pretty, and that's why I need your technique. Good question. Although it doesn't make a huge difference visually on the right side of your work, I often just pick up a loop on the RS. It tends to keep the dotted line on the back (WS) looking straighter and tidier. Call me obsessive. ..;) I hope this helps. I have few better things to say after all these posts so I only will say: Bravo, thank you!!!! Briliiant idea and a lot helpfull. You are very welcome, Teresa! Thanks so much for this! I am still having a hard time figuring out where exactly you are inserting your hook for the slip stitch, but I do like how it looks down the side. Is there any hope of adding a photo showing where you are putting your hook? It honestly doesn't matter. It will look great no matter where you put it. That shrug is the perfect kind of project for this finish! Thanks for your comment! I finished a time consuming afghan (style of granny square) as a gift. I chose not to give it because I was not satisfied with the edge. Thank you so much! Now I can rip out the old and put in new (if I can make myself look at it again). my first project is a throw in triple crochet, how should i procede to finish the edges so that they look neat? I would do it just this way. You will have about 3 slip stitches along each treble row. Hi Susan. Thanks for the tutorial. I always have those messy side boarders so I'm hoping this will help greatly. I love your work and your site. I have quite a few of your designs now and am thrilled with how they turn out. I couldn't help but notice the quote at the bottom of this tutorial by Dieter F. Uchtdorf. Are you a member of the church or just like the quote? I am a member of the church and particularly love this quote. Thanks for your support. I hope the tutorial helps tidy those borders. thank you very much!a very helpful tip. Lol! I actually think you are spot on. Thank you so very much for your tutorial! You really saved my bacon! I had just finished my very first afghan (have been crocheting for 28 years, but only small things), and knew I needed to do a border, but the side edges were staring at me, being weird. I was fortunate to find your tutorial, which showed me how to take the extr time to prep the edges for the border. LIFESAVER! I ended up doing some kind of welted? edge that hides my strings inside. All of this wouldn't be possible without the prepared edge. Now I have a beautiful and professional looking afghan! Thank you again! I'm absolutely tickled to hear that this was a help to you! Thanks so much for your comment! Thank you SO SO SO much for this - just exactly what I needed! You are very kind! You are so very welcome! I hope you find it helpful! You are welcome! Thank you for your expression of gratitude, too. Thank you! I love this. I've just used it to work the edgings of a cardigan and it looks fab if you do both the slip stitch row and the first row of double crochet ( single crochet in US ) with right side facing. It is so neat and seems to help keep the edging flat some how. Super clear instructions, it makes it much easier to work out when you use different coloured yarn to see the stitch. Thanks again. Can you advise if i've made HDC BLO squares in rows, how many SLST i would need to do? I would do 1 1/2 per hdc, or roughly 3 for every 2 hdc. What a wonderful solution! Thank you so much. It'll make our projects much more pro, lol. Hi, it looks amazing. So that I may try this, is it two separate pieces of yarn you're using for edges? If so, what do you with the ends? Or are you starting your piece there and continue working around? I understand what you mean I just don't understand how to do it. Yes, two pieces of yarn, one skip stitched down each rough edge. If they are done in the same color as the border it is easy to work over the ends as you go, or weave in when you finish. This seems like a fantastic tip. I'm having trouble understanding where to do the slip stitch. I hope I can figure this out. I'm finishing up on an afghan that I'm not too pleased with the edging. Is there anyway you can explain it so I can understand it? Thanks so much. It honestly doesn't matter. Just do it loosely and evenly along the edge, inserting your hook wherever. The slip stitch doesn't leave holes like a single crochet. THANK YOU, SUSAN! What a great idea! Just happens that I am currently working on the border of a lapghan. I did the first round, but I'm not happy with it, so I'm going to rip it out and try this technique. I've bookmarked this page. This interests me, as I'm trying to make cleaner looking n feeling projects..I too am a visual learner..t have reading comprehension issues..by any chance is there a video or step by step pictures. Because the one strand ur slipping into not sure exactly where ur going.. I'm confuzuled! Lol.. Thanks! No worries. Just slip stitch along the rough edge. It doesn't matter where you put your hook. Just make certain they are loose. Am writing this down in my pattern book!!!!!! THANK YOU...great way to make an edge perfectly & your hard work look expert! Just found this tutorial today, edging a doll blanket for my niece for part of her Christmas present, and it looks so much better on the back compared to normal. Thank you! Thank you very much for this Susan. First of all,I love the quote at the end of your blog. Now on to crochet question I have a baby girl afghan that is a triangleish shape even though I didn't drop any stitches, would blocking technique work or should I try the technique that you just described (I didn't follow any pattern, I did both DC and SC [USA terms])? I'm not certain what you are asking. Are you trying to add a border? If do, this would be a great technique. Or is the blanket supposed to be square, but not? If so, blocking may help. Thank you so much! This makes so much sense! (Why didn't I think of that..lol) I'm going to go right now and redo the boarder of a super hero cape I just made for my Grandson, this will be SO much better! Genius! Thank you for the wonderful idea! I tried this and it worked! Only issue is that the edging does not lie flat but tends to roll. What did I do wrong? I'm not certain, but it sounds like you may have not had enough stitches in your border. They often will picked it roll. The other possibility is your slip stitches being too far from the edge. This might make them pull up rather than lay flat.